This Malbec is dense and concentrated. Opaque purple, almost black in color, the aroma is full of grilled bread, Asian spices, pencil lead, minerals, lavender, blueberry pie, and black cherry. On the palate there is layer upon layer of savory fruit, spice notes, espresso, and dark chocolate. At Layer Cake, we work directly with the farmers who grow our fruit. Our grapes are grown to exacting standards in some of the most diversely-layered vineyards around the world. 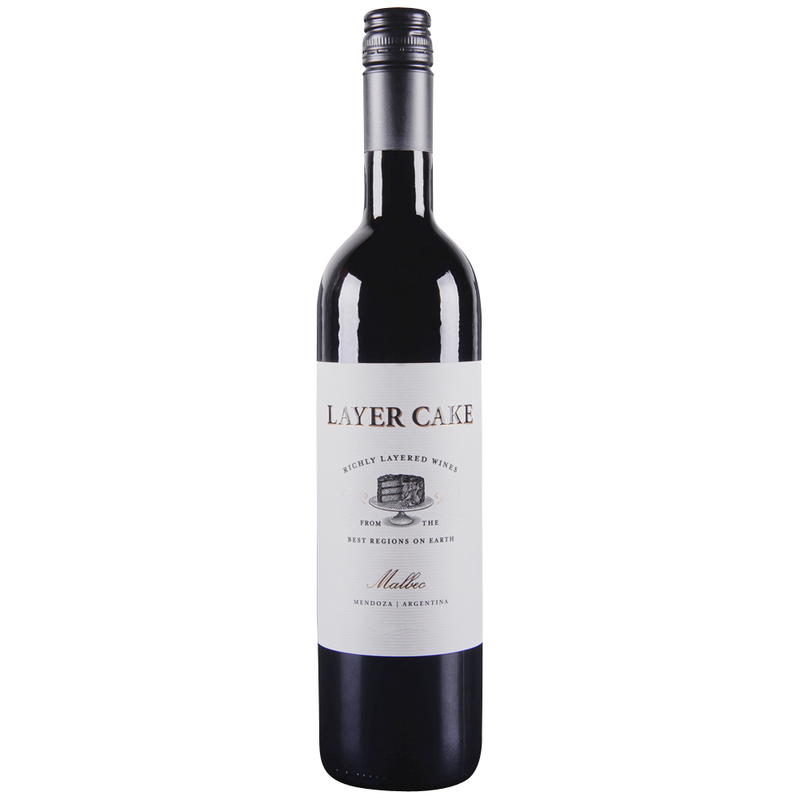 The character of each Layer Cake wine is influenced by the vineyard soil, which is layered like a cake.